These are one of those trips that you always wish you had taken a while ago, and at the same time, not taken at all… Many a times we’ve been trekking to various destinations and most of the times, we take a car to the base-camp… Earlier it was a bike and now it’s a car, thanks to my friend Swapnil… His Ritz I must say has done a lot of miles in the couple of years that he’s been on the road with it. 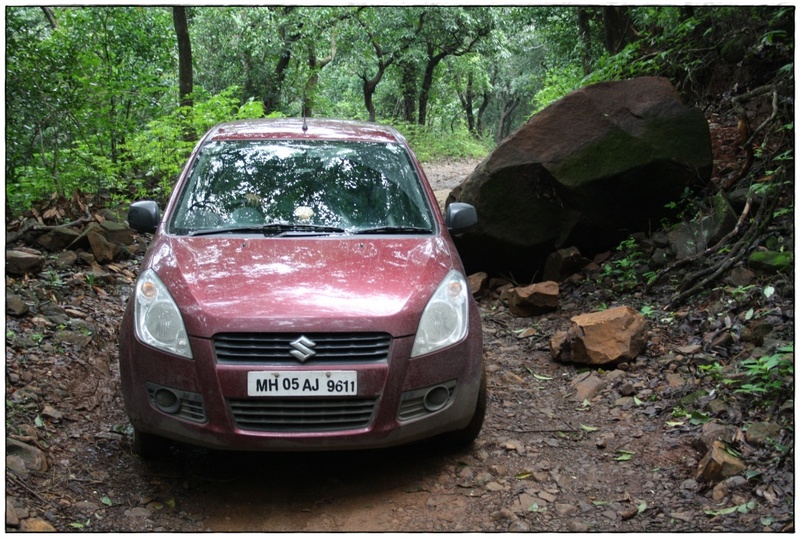 Long stretch of lands across various states to weekend getaways that have been really bumpy and super sleek at times. From grazing dirt tracks inside villages of Vidarbha to stretching a two day trip all the way to Indore and back to Mumbai. 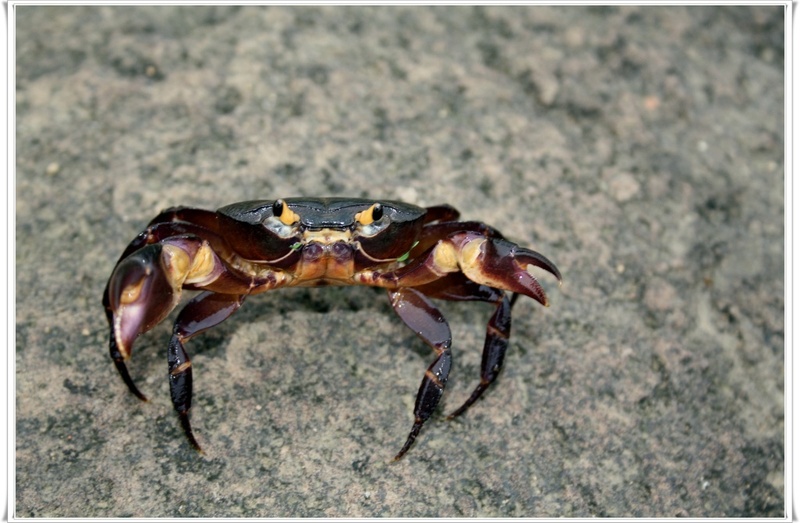 And of course, the Alibaug, Kashid, Murud-Janjira is something which has become a routine. Lonavala – Tiger Hills is of course a destination which we do most of the times in the monsoon, but this time around we did something else… And of course, this had to be the brainchild of my ever enthusiastic best friend, also my college mate Swapnil himself. For those who don’t know him yet, well, we’ve been friends for over 12 years now and right from college both of us have been auto enthusiasts, me being the lesser one and almost every other time just being on the listening end of his aspirations and stories from various rallies, so much so, that I’ve taken up interest in Formula 1 only cause of our animated conversations and his total interest in the sport which he rubbed on to me way back in 2001. For a Ritz to go up there…. Was quite a task, a task like most others, which we always end up achieving… This is where we went and boy o boy, don’t ask us How?? As luck would have it we discovered, there was a small waterfall near this place… But we had to go down to really get below / under the water and it was a downhill slope and had to trek down a few yards to get there… Well…. IT HAD TO BE DONE! So, anyways, that’s just the half of it… We haven’t even got started… Thankfully, by the time we were done with playing around the waterfalls, getting soaked in that foggy morning and enjoying the cold water and by the time we came up… the guy from the hut had opened his shop… What more did we want? We tried moving smaller rocks, whichever we could squeeze through and tried to make some space… Well, it was a little better than before, but not enough to let the car go by… If nothing else, the car would just go down the ravine or scrape some metal on the huge rock… Now, that’s something we didn’t want to happen. Add to that, it was a muddy track, so couldn’t quickly skid through that part. What happened after that is not for me to tell you in this off-roading chronicle, but certainly this experience was quite different from most of the trips we’ve ever taken. Have you ever been in any such situations? 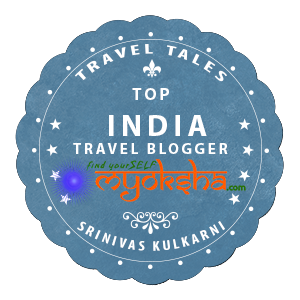 This entry was posted in West and tagged Car, Dirt Biking, Formula 1, Honda CRV, Jeep, Lonavala, Maruti, Motorsport, Off Road, Off-Roading, Radial, Rajmachi, Rallies, Ritz, Road, Road Trips, RoadTrips, Sahayadari, Tiger Hills, Trekking, Waterfalls, Wheels on July 6, 2011 by srinistuff. 9:00 PM and we are still at work?? Come on guys let’s pack up and get the hell outta here… That was what was going on in my mind… but I guess, we had to make sure that everything was in order before we left for the trek. On a chilly December night, trekking at 2:00 AM in the morning was no mean feat. Yep, that’s exactly when we reached the village called Baje, it served as a base camp for us. Parked the car over there and started hiking up towards the footsteps near Lohagadvadi… While there is another route to reach the footsteps where even cars go, it wouldn’t have been fun for us to take our car there and then climb up… as the trek time would have been just 15-20 minutes. Anyways, at the end of it all, the hike up to the place was really worth it… trekking the mountain in the morning, chatting up and singing along for a journey and an experience that we were yet to have… Something told us, this is going to be one of those memories… You know what I’m talking about, now don’t you? One of the challenges now, was to find out ways and means to get our friend down.. So, a couple of guys went down to get the car from the other route to ensure that one car is at least downstairs, at the base camp from Baje village… While we were trying to figure out how to get her down.. We tried to make a stretcher with a couple of bamboos and blanket we had… Nope, didn’t work… We had a chair, tried to make a palkhi with the bamboos and a rope we had… nope, didn’t work… What could we do?? That’s exactly the reason why I’ve not included anyone’s names… and precisely why this story ends like this… What happened later was something we all call an escapade truly to remember… 🙂 well, at least until the next one happens. This entry was posted in West and tagged Lohagad, Lohagad Trek, Lonavala, Travel, Travelogue, Trekking, VinchuKaata on December 13, 2010 by srinistuff. People Travel to know the boundaries of the world… The boundaries within their universe, the journey which they want to experience and imagine if ever they thought of living a life they couldn’t. People travel to know more about different people. People travel to experience what their soul will take with them to a different dimension. Sometimes when I think of these quotes of mine, I realize we all have a desire in ourselves to understand fully what the beauty of this universe lies in. Be it the short trips over the weekend, adventure camps in school, trips and picnics during the monsoon or a great vacation abroad… When we travel, we unleash our inner spirit. One that adds to our charm and the experience of a life we live in. To me, trekking is one such experience where I can relive the adventure, which I always wanted. Think of nothing but the freedom that I get when I get up there. Be it 4000 feet above or just a mere 1400 feet. Doesn’t matter, one needs to understand that the beauty of all this is in the fact that you have a goal in mind and you go up there to achieve it. 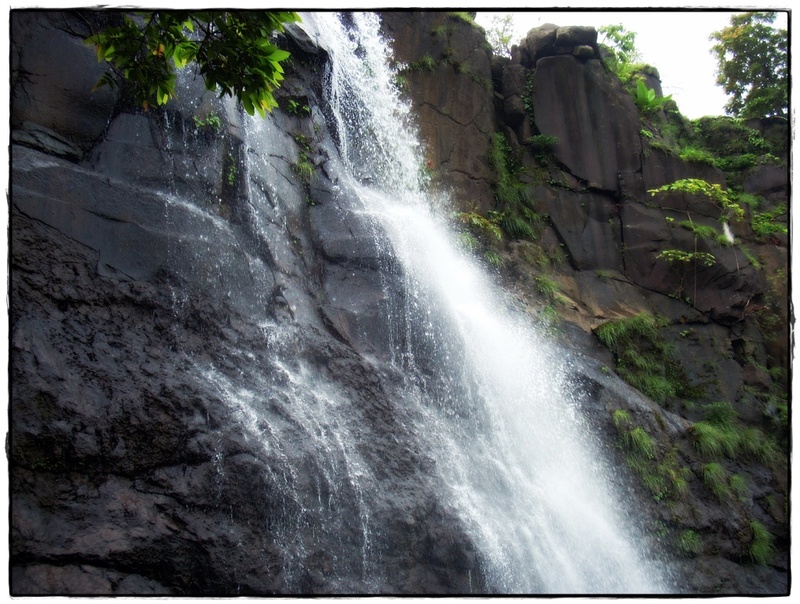 So here we are, bunch of us office guys @SocWav have decided to head to Lohagad, a very easy trek tomorrow night. This would be my second experience trekking at night after one way back in Naneghat. 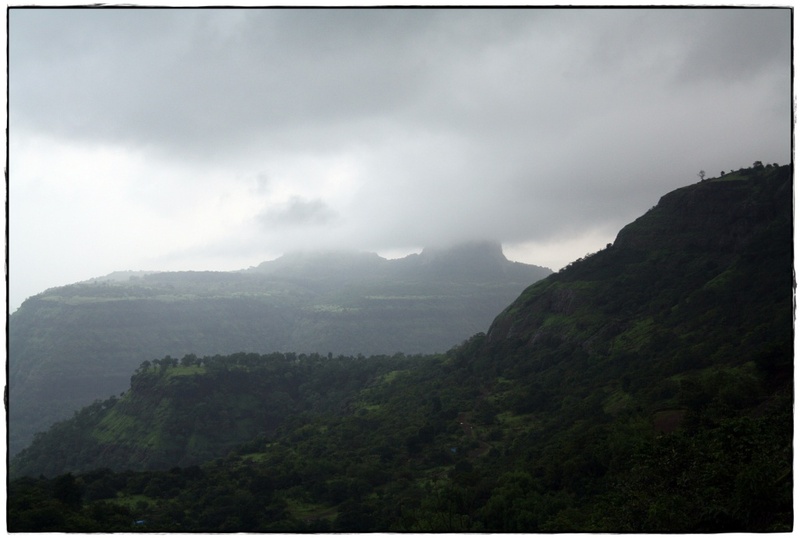 Since, there are a lot of newbies and girls mostly, we decide﻿d to trek to Lohagad as its the easiest of the lots. I haven’t yet been here so it should be a great experience. The last time around, my friends ditched me on my working saturday and did a quick drive to Lohagad and got back with great photos and absolutely amazing videos. That was during monsoon though. Don’t know how it will be this time around. Hope the cold and pleasant weather will make up for a little bit lack of greenery I hope. So we plan to trek at around 10-11 in the night, reach on top about 12:00 – 1:00 AM and camp up there. Hoping to set up a barbecue if we get hold of a village local. Otherwise we’ll manage with our own Cup Maggi and other snacks.. 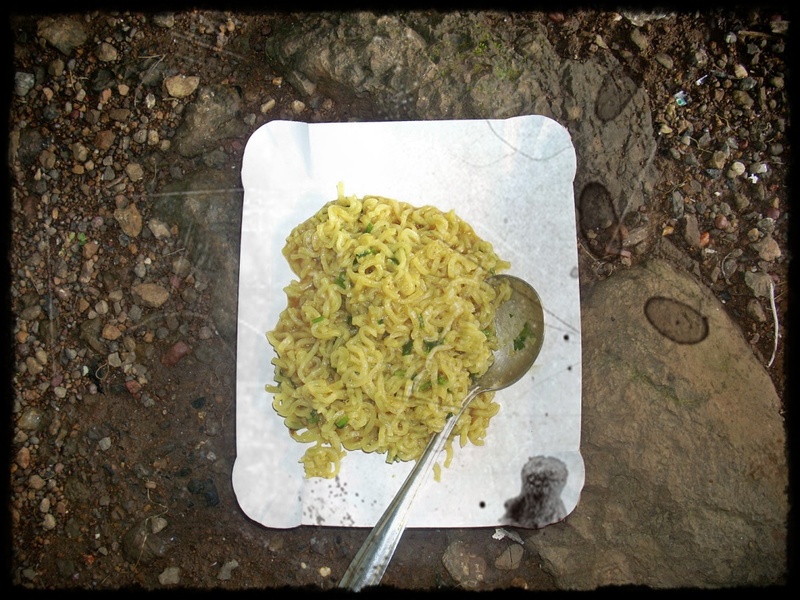 I mean Maggi should really be the brand for all trekkers. The best part would probably come early in the morning, when we’ll take a look at the awesome views especially the ‘Vinchu Kaata’ and the Ganesh Darwaza… So courtesy Wikipedia here is a bit of trivia for all you folks about the destination. 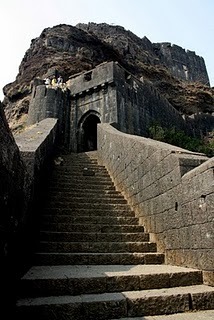 Lohagad (literally “Iron fort” in Marathi) is one of the many hill forts of Chatrapati Shivaji. 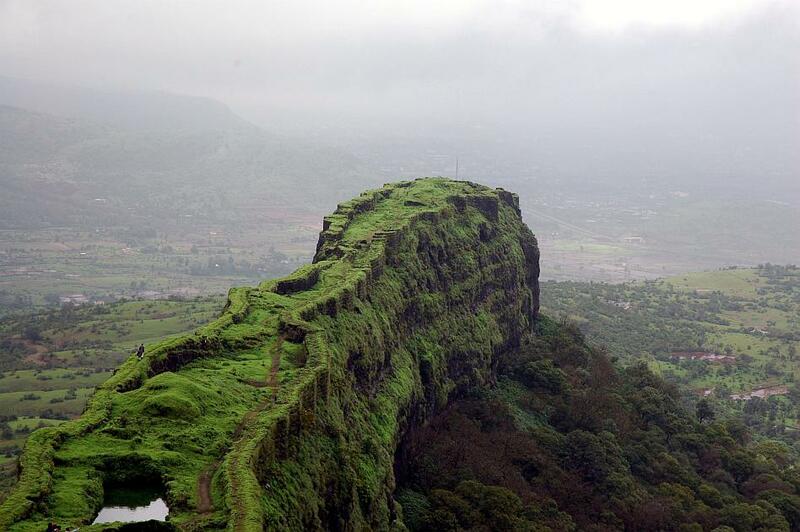 It is situated 52 km from Pune in western India. 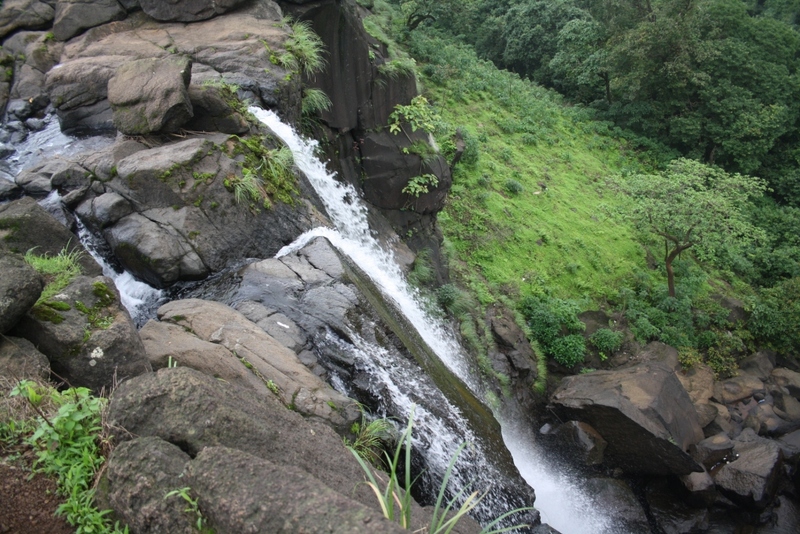 Lohagad is at an elevation of 3,450 feet (1,052 m). Satavahanas, Chalukyas, Rashtrakutas,Yadavas, Bahamanis, Nizamshahis, Mughals and Marathas. Shivaji captured it in 1648 CE, but he was forced to surrender it to the Mughals in 1665 CE by the Treaty of Purandar. 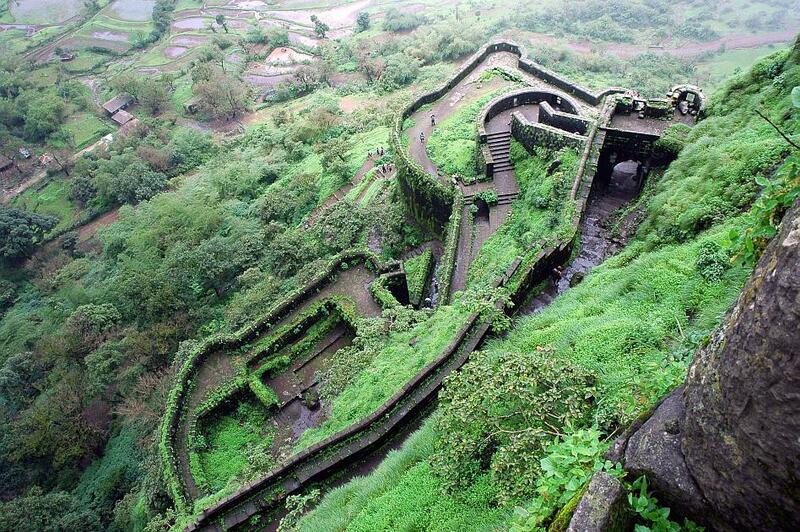 Shivaji recaptured the fort in 1670 CE and used it for keeping his treasury. From Mumbai, you can take a train to Lonavla. Malawli is the next station from Lonavla in the direction toward Pune. There are a number of local trains operating between Lonavla and Pune; you can take any of them. From Pune, you can take any of these locals. From Malawli railway station, the fort is just 9 km away. Vehicles can go up to the foot of the hill. From here, which is near a village calledLohagaon, there are steps to the fort, numbering approximately 500. 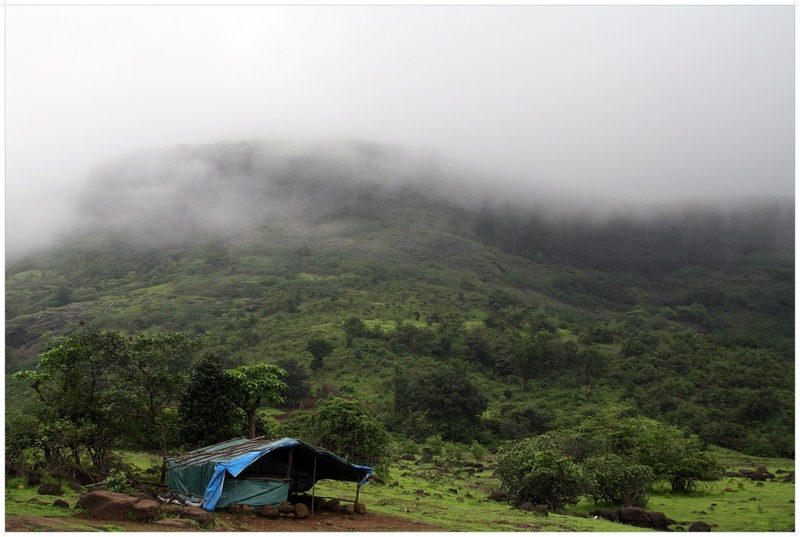 When it rains, the top of the fort is covered with mist and clouds and becomes particularly wet. It is advisable to carry protective gear during the rainy season (mid-June to mid-September). Further, food is not easily available on the route. Most of the food stalls sell water, poha, tea/coffee, snacks, and soft drinks. This entry was posted in West and tagged Iron Fort, Lohagad, Lonavala, Travel, Traveler, Travelogue, VinchuKaata on December 9, 2010 by srinistuff. 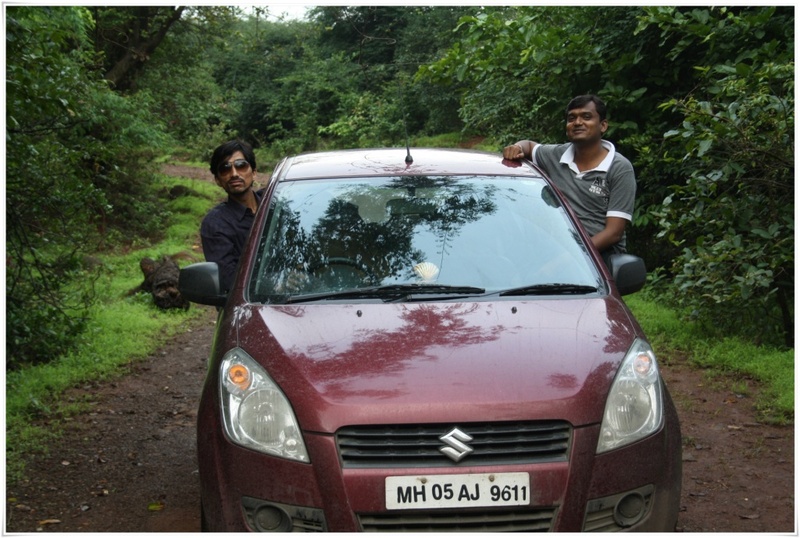 This trip was another one of our impromptu rides, wake up early in the morning and just head off to Lonavala. That’s how generally we go out. Hop, skip and ride/drive to wherever we want to. So my friend called me up early on a Sunday Morning, and there began our plan. Certainly a Sunday during the rains was one of the best ideas to head up to Tiger Hills. 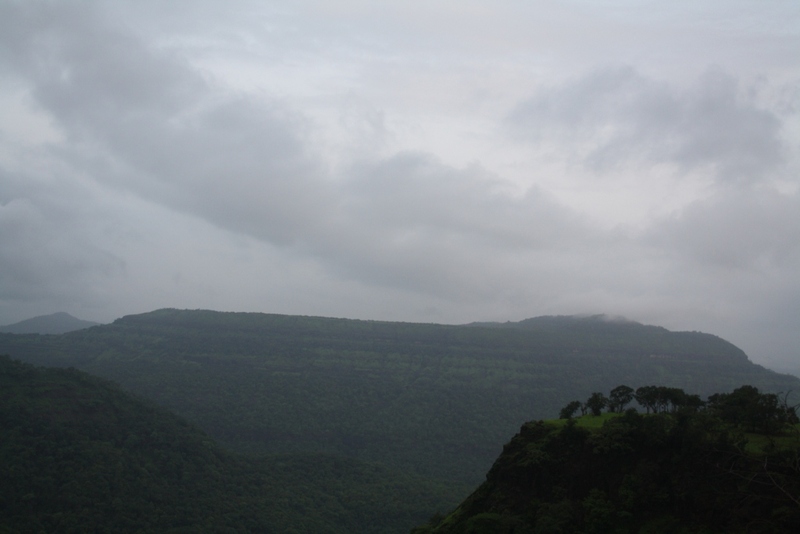 A mist covered foggy mountain and some beer with corn bhajiyas… Couldn’t have asked for a better Sunday morning. So we head off to the place in his car and picked up his bike as well. We were about 5 people in the car and 2 on the bike. Splendid weather with rains pouring on us and the misty mountains waiting for our journey to come to a halt at the beautiful location up in the mountains. One of the best things while going up the Tiger Hills, is the beautiful curvy roads that stretch out and the view that you see is truly something you would want to remember forever. Remarkable one at that. The closer you get to the top, the foggier it gets… the altitude is one thing, the views are another. But most amazing thing is, once you reach on top, you enjoy every second of the beauty of the weather, most importantly the cold and serene waterfalls! This entry was posted in West and tagged Chikki, Fog, Khandala, Lonavala, Lonavala Vacation, Tiger Hills on July 16, 2010 by srinistuff.